High-Performance Advantest Automatic Handler + CST DDR3 & Mobile DRAM Chip Testers for Total Testing Solution. CST Inc., a 29 years privately owned memory tester company, announces its have successfully integrated its DRAM chip tester with Advantest Automatic Handler System for testing the DDR3, Mobile DRAM and eMMC chips. CST ’s DRAM chip Tester plus Advantest Handlers are designed with different characteristics for memory and non memory semiconductors. 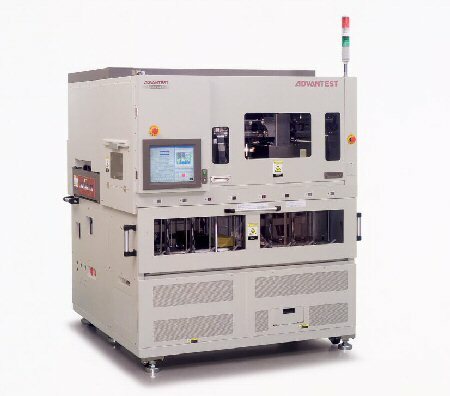 The Advantest M6300 Automatic Handler system , launched simultaneously with the CST DDR3 Chip testers , is a high-performance material handler capable of parallel processing up to 256 memory devices with a range of packaging formats, including chip scale package (CSP) and ball grid array (BGA). Combining increased functionality with the processing speed of the M6300, it delivers a throughput of up to 12,000 units-per-hour (UPH). Its thermal-control function supports tests within a temperature range of -30°C to +125°C, with an option to extend the lower range to –55°C. Advantest has developed a new air-pressure control system that adjusts contact pressure and speed to minimize contact failures, while enabling increased accuracy during pick-up and transportation of these extremely small, light devices. 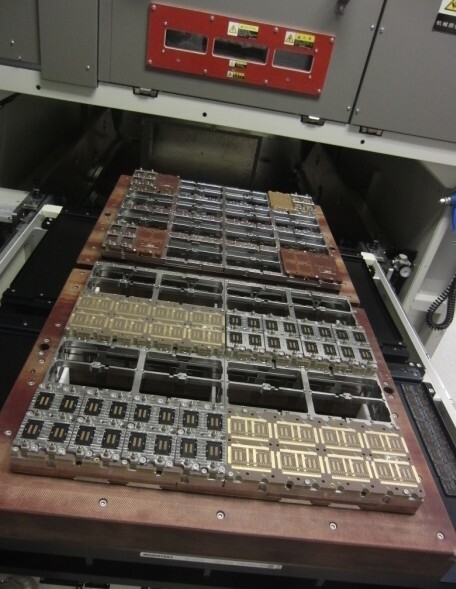 This new construction has allowed Advantest to reduce the number of parts in each change kit—the component responsible for load management, which must be changed for each different device type—by approximately 70 percent. This contributes to significant savings for customers in both labor and the number of parts that must be purchased at changeover. CST also has other test handler product line for test systems for memory chips and memory modules that meet varying cost and functional needs of its customers. Founded in 1983, CST develops, market, and support computer memory tester software and hardware. CST pioneered the first low cost SIMM tester in 1985. Since then, CST testers have become the standard for the computermanufacturing industry, holding more than 70% of the market in testers for computer manufacturers and third party SIMM manufacturers. With its product lines of SIMM/DIMM memory testers and handlers, CST is equipped to handle all aspects of memory testing. CST has a comprehensive line of testers ranging from the low-volume service tester to the high-volume manufacturing needs. CST, Inc. headquarters in Dallas, Texas, USA also has direct offices in China as well as global distributors strategically located in Australia, Brazil, Canada, China, France, Germany, Hong Kong, Japan, Korea, Switzerland, Sweden, Singapore, Taiwan and the United Kingdom.